Save time and money with the all new DealerHosts™ Inventory Money Maker. Want to enter your own inventory? We give you the software to do it right and fast. We start with a full VIN explosion, and allow quick entry of other details and descriptions to personalize and capture your customers' attention. Real time updates, batch image upload, drag and drop sorting, and pre loaded options allow for easy entry. Want to put vehicles on special on your internet specials pages or home page. Do that with just a couple of clicks; it's that easy to make your own Specials in real time! Also mark certified inventory, or print inventory lists. Our self loading Inventor Money Maker software is perfect for the do it yourself dealer who wants to save time and money and use in-house personnel to keep your inventory up to date in real-time. Use your own camera or mobile device and let our VIN explosion software, and easy enter update, edit and delete options take it from there. Then enhance it with our software to make the end result look amazing. We will work with your DMS to pull your inventory information and explode the VIN from there. We will map the appropriate fields to our new Inventory Money Maker system. We will work directly with your 3rd party image and data providers to get your listings updated and live on your website. We set up automated processes and then import your vehicles directly into our Inventory Money Maker software. We then take the data and images and format them into our details pages to create a seamless look and feel, with all the added features and bonuses of DealerHosts™ beautiful inventory details pages. Upload your inventory into our Inventory Money Maker software from any CSV, or delimited text files and we will map it to our display pages and make your data come alive. 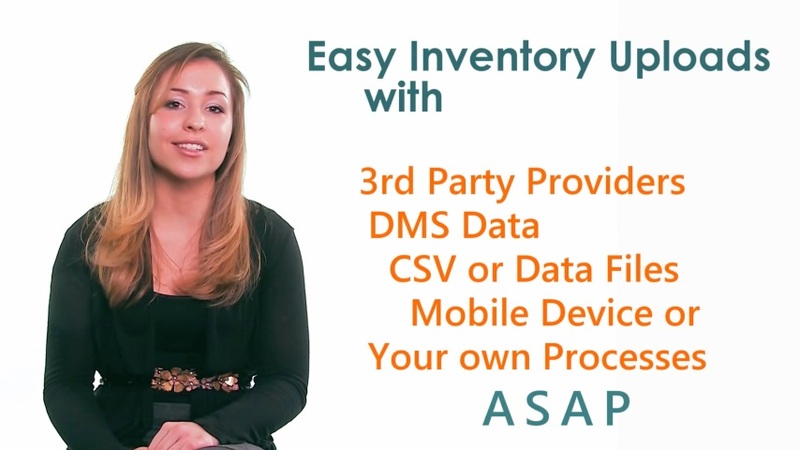 Load your inventory right from your cell phone! Our true mobile application software can have you on the lot making real time inventory up loads or updates with the phone you are already carrying. DealerHosts™ offers many extra features to make your inventory come alive and get seen on the World Wide Web. We offer video, large images, 360 views, graphics libraries, Image libraries, window stickers, enhanced Calls to Action and then with our search engine and mobile friendly developed sites, we will allow your customers to choose how they want to view it.